World Archeology: Nine manuscripts with biblical text unearthed in Qumran. Nine manuscripts with biblical text unearthed in Qumran. 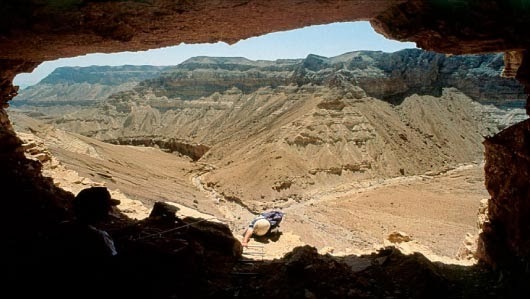 The West Bank excavation site Qumran has brought to light another exceptional find after that of the Dead Sea Scrolls. Working on materials from archaeological excavations of the 1950s, archaeologist Yonatan Adler found three phylacteries - pouches used by religious Jews containing small manuscript scrolls with a biblical text - dating back to about 2,000 years ago. A total of nine manuscripts have been found by the Israel Antiquities Authority by using technology known as multispectral imaging, which makes it possible take specialized photos. The discovery was announced at the International TerraSancta Conference on 'Qumran and the Dead Sea Region' held in the Swiss city of Lugano. The conference brought together 65 of the top international experts on Qumran, an archaeological site that garnered international attention in the mid-twentieth century when the 900 documents comprising the Dead Sea Scrolls (also known as the 'Qumran manuscripts') - which date back to between 150 BC and 70 AD - were unearthed there. 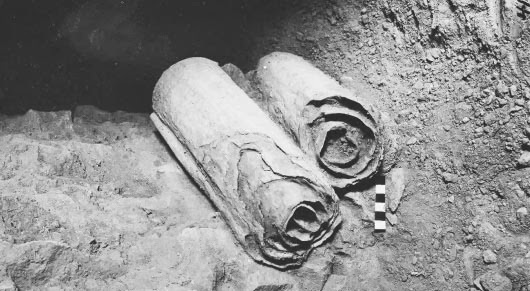 The three phylacteries are from caves 4 and 5, which were excavated in 1952 by the archaeologist Roland de Vaux.